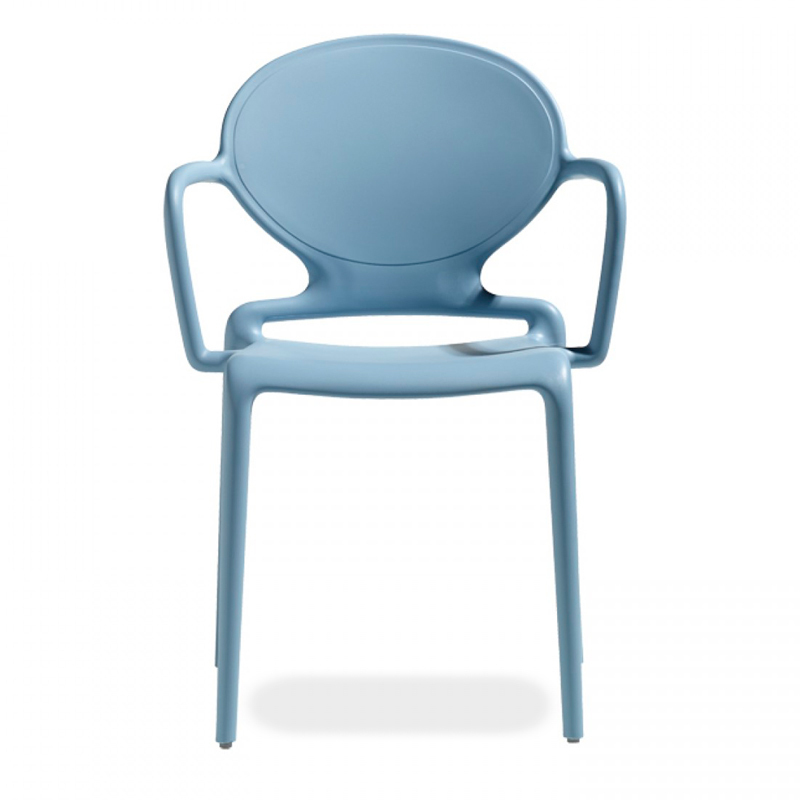 Stackable, plastic armchair made by technopolymer. Suitable for outdoor use. Available in various colours.